When I went on maternity leave from my full time PR Management role 15 months ago I had no idea that my whole career would do a u-turn in the months that followed. Nor did I think I’d build a successful and thriving business within that time. I’d been at the helm of Lady Writes for a solid year and a half before that – starting out as an anonymous dating blogger through a series of disastrous Tinder dates and rubbish short-term boyfriends. I then moved into lifestyle blogging and settled on the right mix of beauty and lifestyle topics. 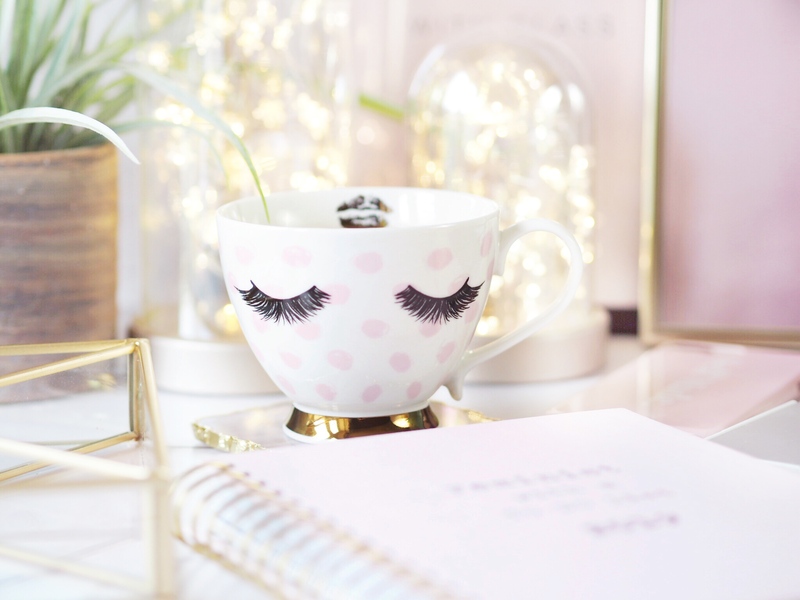 And thus Lady Writes is this little space on the internet full of things I love to write about: make up, beauty topics, witty recollections of embarrassing moments and honest pieces that I need to get off my chest or share in the hope they benefit others. Plus a large selection of general everything else pieces too. 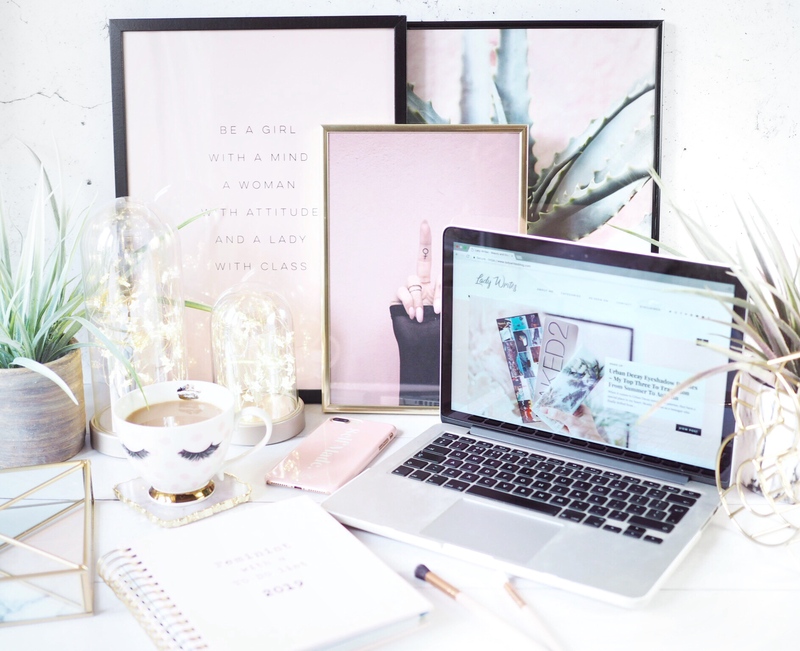 As Lady Writes became more and more established, I started to think that the distantly admired goal of blogging full time, could maybe, just maybe, become a reality for me. Perhaps actually being my own boss was possible after all? And as the months went past, it sort of just happened. One day I just took stock and saw that I’d pieced together the right pieces of the jigsaw – I’d created a business model that worked for me and provided for my family. In that time I’d tried other puzzle pieces in the hope that they’d fit, some did – and some didn’t. But the end result arrived quicker than expected when only eight months after going on Maternity I realised I’d actually reached a point where my business was sustainable. And from there it’s just blossomed – and I’m so proud of what it’s achieved. Actively search out the opportunities and the work. Be relentless. MAKE it work and make a workload for yourself. When it comes to your workload and being your own boss – you’re in charge. No one is going to come to you without any effort on your part. You need to create a workload, find clients and build a portfolio. This is tough to start with and slow in the beginning, but with time it will happen organically through recommendation and word of mouth etc. But in the early days you need to be relentless in pursuit of the things you need to make your business work. You have to reach out and take opportunities, create introductions, and really bulldoze your path and cement it in place. These early stages are the foundations of your business. You’re going to need sheer determination to make it work. Always have a small financial buffer behind you because freelancers rarely get paid on time. My biggest bugbear and the biggest of most freelancers I know, is getting paid. Once you’ve got the work, doing it is the easier part – getting paid can be the chore! Believe it or not, I’ve learned that you can spend more time chasing an invoice than doing the work that it’s for. Because it’s a sad reality – freelance fees and payments can often be viewed with flexibility. If you’re employed you get paid on the same date every month, without fail. But as a freelancer there’s no such safety zone. And you can chase and chase for months to get an invoice paid. All of which eats your working time. So make sure you have a small financial buffer in your account for when big payments don’t come in on time. You don’t want to be missing important bills when payments are late. If you aren’t prepared to sacrifice – then being your own boss maybe isn’t for you. This one sounds harsh, but it’s true. To build a successful business, one that thrives, it’s going to take everything you’ve got. It’s going to take late nights and early mornings, missed social events and virtually no free time. You can’t expect a business to thrive without ground work – and that ground work involves sacrificing your time, money and social life. Ask any entrepreneur what they have in common and it’s this – that they were prepared to and willing to sacrifice what needed to be sacrificed to build their business. It doesn’t need to be that way forever, but certainly in the first year or so while you’re still establishing yourself. I always remember reading about Karen Brady who went back to her full time job the day after giving birth to her child. THE DAY AFTER. And a good friend of mine (a fellow career woman) recently went back to work four days after having her second child. These woman I now understand as I run my own business, but not everyone does. And the truth is that isn’t for everyone – and that’s okay too because being your own boss isn’t for everyone. Never stop learning and always seek out new knowledge and keep up with marketplace trends and news. You need to know what’s going on in your ‘world’. You need to be the trusted adviser in your industry and the person with their finger on the pulse of key trends and changes in the marketplace – no matter what that marketplace is. You can’t expect people to pay for your services if you don’t offer much past their own capabilities and understanding. You are now the one responsible for making sure your services are efficient and valuable. So always make sure you’re reading marketplace news and following things that may – or may not – change the way you work. Knowledge is power and your future client base will depend on it. Keep your receipts for everything and make sure you’re officially registered and claiming the right things. 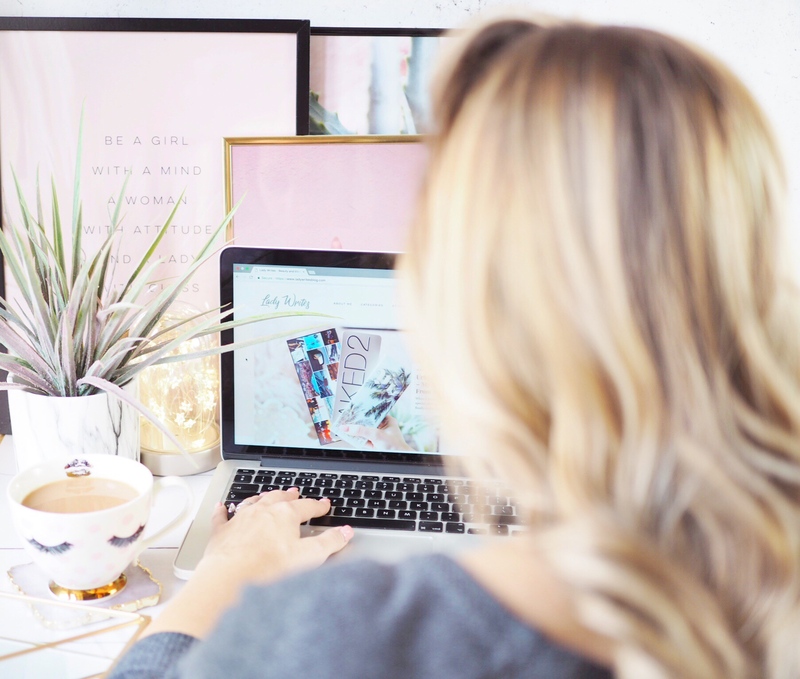 This is a practical one for being your own boss – if you’re running a business whether it’s selling nik-naks online or running a communications business, or even just blogging – then you need to be registered. If you take payments and fees, or even ‘payments in kind’ then you need to be registered with the tax office. Do NOT avoid this. The penalties for getting caught are extreme. (We’re talking thousands of pounds and potentially a criminal record depending on the circumstances.) Registering sounds scary but it’s actually easy. You just fill out the forms online and wait a few weeks for a letter in the post giving you your UTR (Unique Tax Reference/Code.) Then all you need to do is monthly keep track of your incoming and outgoing spends. Keep receipts for everything – if it’s to do with your business in any way, claim it as an expense (food for meetings, travel, props for blogging etc.) You’ll need proof of the spends when you do your yearly tax return. Just because you’re a new business doesn’t mean you’re worthless. Far from it. If you know your stuff and can offer a great service then it makes no difference if your business is a month or a decade old. Don’t undersell yourself or your services. You set the precedent for future relationships and clients with every decision you make, so why would you want to undersell yourself? Your value is YOU and that shows in your fees. If you charge £20 for something most people charge £200 for, then you don’t look like a good option to potential clients, you look like a business with little value to offer. Think of it that way next time you pitch. There’s nothing new in content creation – but to do it well, find you brand and voice. You make your business/blog/brand unique. When it comes to being your own boss in content, communication, marketing and similar models – there’s very little that’s new. Everything is inspired by everything else and that’s okay – it’s business. Although it’s incredibly frustrating when you get ‘copied’, the truth is that very little is original anymore. However what makes your business special is the way you brand it, the voice you use and the service you offer. Finding your brand voice is imperative to standing out in a packed and over saturated marketplace. The value of peace and quiet – never switching off. One thing I’ve learned is that when it’s your own business, it’s like your baby. You have nurture it, watch it grow, pick it up when it falls down and be there for it. Which means you become so attached it’s impossible to switch off at times. Being your own boss means there will be sleepless nights worrying and early morning meetings: all of which teach you the value of ‘off time’ and quiet. It’s so important to set time aside for you and your family, it’s can’t always be about work and there should be times when you can switch off, if nothing but for your mental health. You’ll need more than one string to your bow. This is a really important one – most business are multi-faceted. People often build businesses and think that’s it: one business model and boom, done. But it’s actually rarely like that. For a business to truly succeed and be profitable while you’re being your own boss means you’ll need more than one string to your bow. Sometimes as freelancers the blogging work can go through a dry spell – but in those months you still need to pay your bills and feed the kids. So you’ll need another income stream. Retail businesses for example will often have a consumer outlet as well as a corporate/wholesale outlet. And communications businesses will offer services ranging from social media to public relations…you need to think savvy in business, and having more than one string to your bow ensures your business will be more profitable and therefore more of a success and less of a risk. 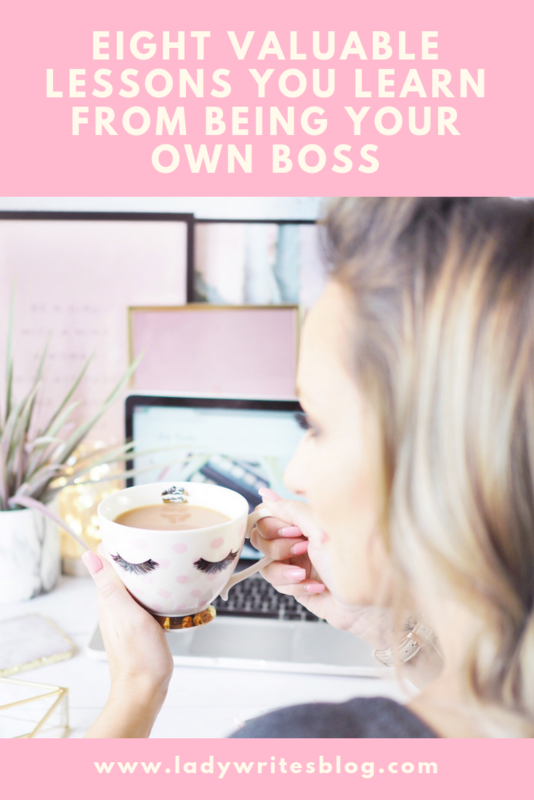 There we have it – eight valuable lessons you learn from being your own boss. I hope they have helped shed some light on the common things you’ll face and come up against in your first year or two as a business person. I find it so useful reading pieces like this when I’m looking for sounding boards in different areas of my business, so I hope that you’ve found some great take away nuggets to help your business, or even your blog to succeed. If you’re currently employed and not yet ready to take the leap then check out my piece on How To Be A Successful Career Girl. Next Post IT Cosmetics Matte CC Cream – How Does It Measure Up? I learnt a lesson from a fellow freelancer than I think we can all agree with – it’s either feast or famine…ALL the work with no time or looking ahead in your wondering what’s next! This is such an amazing post! I think you’ve pretty much covered everything here! Knowing when to switch off is the toughest part for my boyfriend, there isn’t a time to go home, a time to be on leave, it is tough! This was so helpful. Really made me stop an evaluate where I go from here. You’ve done so well. Hope I can follow in your footsteps. 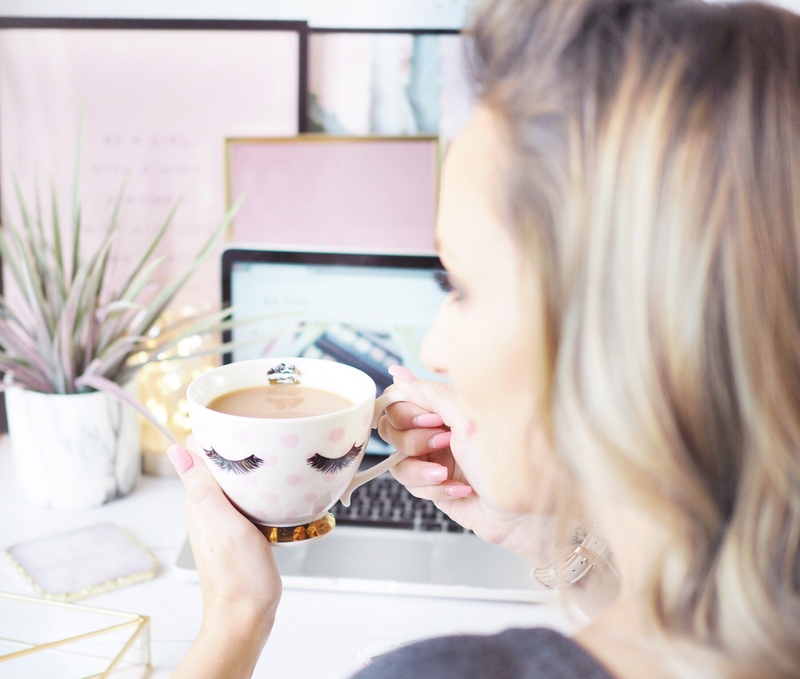 all of these are so true, the getting paid, not switching off… being a freelancer can be so bloody stressful but i think one thing most of us agree on is that its SO worth it! Brilliant post Chloe! So many great points in this. I’d love to be able to do what you’re doing! I’m so proud of you! I really need to reach out to brands again! This is such a good post and one I must remember, when I go on maternity I plan to do some freelancing bits on the side since maternity pay is proper rubbish!